You can’t mention Lisa Ferraro without including Erika Luckett. 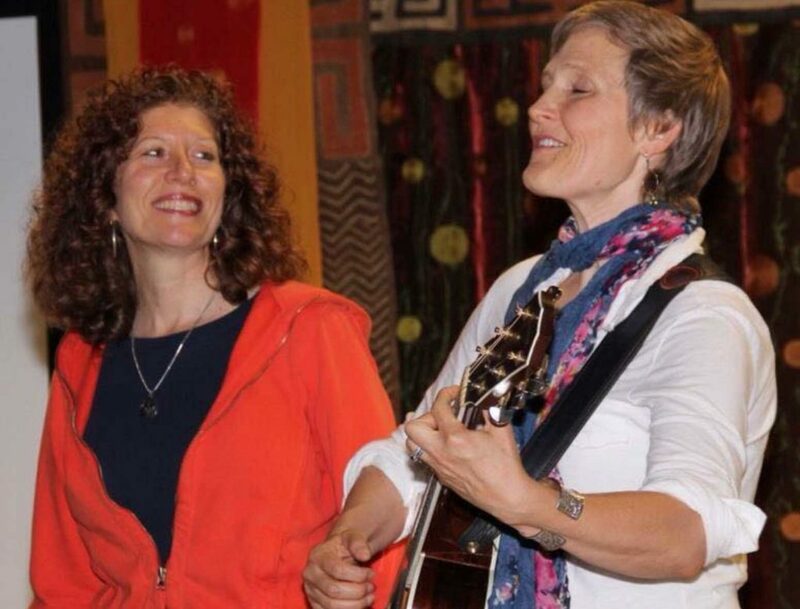 Lisa and Erika are a spiritual duo that bring the power of pure love and divine creative energy to us through their presence as devotees and gifted musicians and singers. The lists of accolades for both Lisa and Erika are well deserved and long! Lisa Ferraro’s CD “Serenading the Moon” made the Billboard Jazz Charts. She has written music for ABC TV (Wife Swap), Polygram Films, Major League Baseball (More Than A Man for Roberto Clemente), The Roberto Clemente Foundation, PBS (The Other Side of the River). Lisa debuted original music with Marvin Hamlisch at Heinz Hall. Lisa was selected in 2009 as one of Pittsburgh’s Fifty Finest by the Cystic Fibrosis Foundation of America. She has performed and recorded nationally and internationally with big band jazz ensembles, rock and soul bands, and the duo with Erika Luckett. 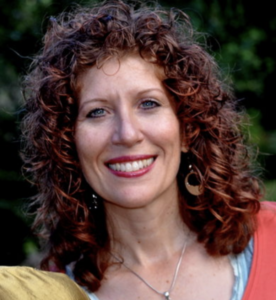 Lisa is a highly sought Music Director for Spiritual/New Thought conferences across the US and Canada as well as the 2009 Parliament of the Worlds Religions in Melbourne, Australia. Erika Luckett has scored music for a number of films and theater projects many of which garnered awards including an Academy Award nomination (Untold Stories dir. D. Fadiman 1993), two Emmy awards (Untold Stories dir. D. Fadiman 1993, From Danger to Dignity dir. D. Fadiman 1994) and over 30 other industry honors. She has performed nationally and internationally with her world fusion band, Wild Mango, at celebrated festivals like the Monterey Jazz Festival, the Aspen Jazz Festival, and the Barbados International Jazz Festival. I met Lisa Ferraro and Erika Luckett when they did a house concert in our home a few years ago. “A house concert?” you ask. It was never our intention to turn our living room into a concert hall, but we were asked by the Columbus Center for Spiritual Living where we are members if we would want to host the musicians coming in for a special concert and well, have the concert at our home! When Lisa and Erika walked in a few weeks later, I was filled with goosebumps. The spirit of love and expression was palpable. They walked around inside and out. I fully expected them to use our backyard for a concert, but they said they loved the intimacy of having it our living room. A few weeks later we packed about 50 people into our living room, dining room, up the stairs and on the balcony. And I will tell you what… when they started to sing, Tom and I looked at each other from across the room with our eyes wide open, stunned. How to express what Lisa’s voice is like… strong, caring, deep, rich, buttery and full of goodness and love. How to describe Erika’s voice and guitar music… precise, magical, stunning, creative and loving. How to describe Lisa and Erika performing together? Godlike, reverent, vibrant, intelligent, masterful, harmonic and pure love. Neither of us came down from the high of having Lisa and Erika perform in our home for weeks after they left. 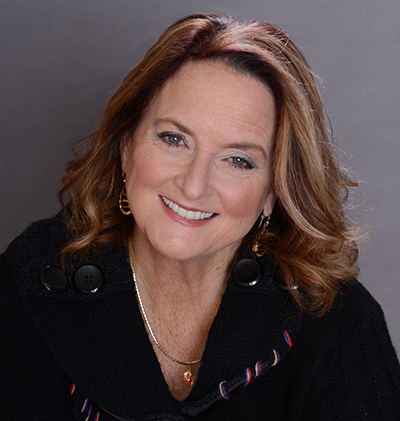 With that, I give you Lisa Ferraro! In your own words, what is creativity? To me, creativity is the language of one’s own heart as the infinite creator speaks to us in the silence of our soul. We seek to find expression in the joy and bliss which is our true nature. Tell me how music manifested in your life. Did you study music? If so, with who and where? Before I could talk I was singing and humming. I could always hear symphonies in my head and feel them in my being. I could also hear sounds others could not and I could see energy around things and people. I could see that singing had an effect on the colors of all forms. So to sing from the heart was my way of playing with God all the time. God was and still is very tangible to me as music. My goal was to fill the sky with sound and sing back to the God in all forms. I was aware of vibration though I didn’t have that word yet. Lol, I began to sing in the church and felt that was my calling. My voice healed people and they let me know this. I studied music and played guitar, piano, trumpet and French Horn. Everything and everyone has a unique vibratory tone. I can see the colors of the music and the forms music creates. It is very personal to me and I’m extremely sensitive to music and how it’s being expressed. The first time saw musical notes, it blew my mind because I could not understand how all those little dots could translate all that music is!! They can’t. I went to music school on a music scholarship then quit to join a band! I continued my studies independently. I have never taken a real voice lesson. I came onto the planet with this ability. It’s one main reason why I coach so many voice students how to find their own expression. I sang every day of my life for hours! I have never hurt my voice even with many hours of singing in a row for day and months. I coach creatives in all expressions as well. 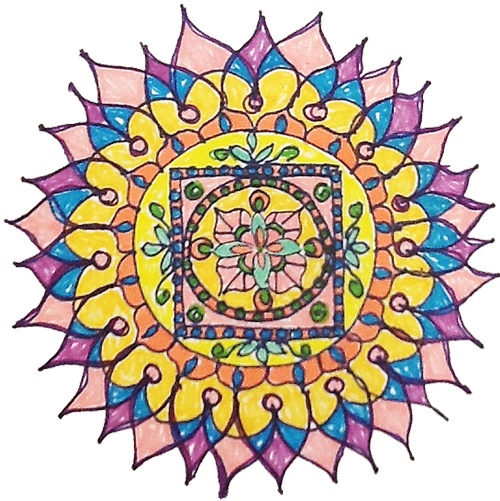 I love and feel confident helping others express their divine soul through their own creative gifts. 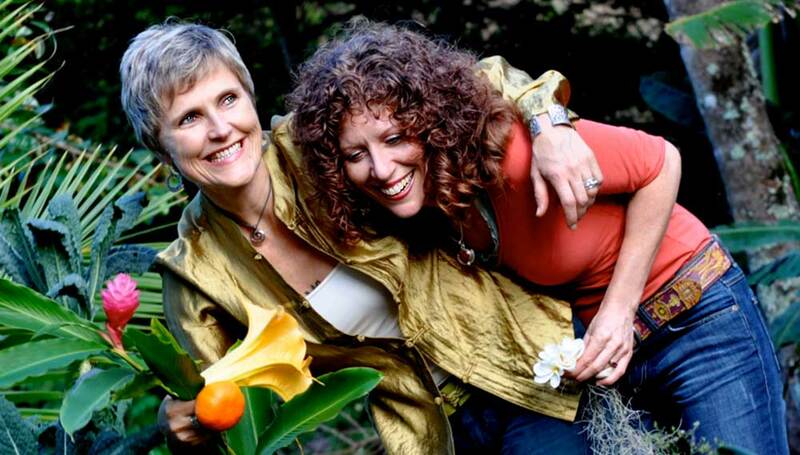 You and Erika are both incredibly gifted spiritual beings, singers and motivational speakers. The first time I experienced your music ministry, I was dumbstruck, it stopped me in my tracks. I felt an infusion of spirit and creativity – how did you decide to become spiritual, motivational speakers? I realized early on in my life that “It” chose me! LOL! I have no choice but to keep practicing and getting more accomplished so that I can inspire others to love this life with connection and expression of The Infinite source. Singing, motivational and inspirational speaking and professional coaching have been woven into the fabric of my life since grade school! Meditation is a big part of my life. Bringing this presence into all my activities singing, speaking, coaching and life coaching is what makes what I do stand out and have healing vibrations to it. We let that love flow! We realize it is an endless source and the more we give the more we are given to share. Why do you think so many people think they are not creative? It seems that in the haste to define the word creative, many have lost sight of the truth that we are all creative beings. Erika and I have facilitated creativity workshops and retreats around the world and we can say without hesitation that everyone who’s attended found their way back to themselves knowing they are creative! Not just musicians, painters, and dancers. We all do it in a different way. It’s a process of remembering and recognizing this fundamental truth. Being creative is being like the creator. As natural as breathing. Have you been able to make a living with your “creativity”? Yes, and I am grateful. I’ve also gotten creative at times when I needed to find a job which would support me as I made my way in the music business. I am grateful for this. I will sing, coach and speak until the day I die. As I said, IT chose me. I love what I get to do in the lifetime. We, Erika and I meet so many beautiful people along the way…What a gift! Please add parting words and insights. My deepest wish for everyone is to find that thing which makes them come alive and squeal with childlike delight or brings them to a deep place of calm. Take a class or experience something new as often as possible. Make it part of a life plan. Grow your edge and get good at making mistakes. Enjoy art and explore new places to experience art in all forms. Above all, meditate and allow for the infinite to play with you. Expanding the consciousness is the reward of stillness and silence. Prayer is when we talk to Source. Meditation is when we listen to Source. 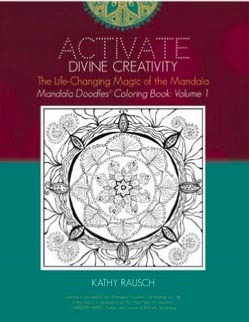 Open up your heart to divine love and know that creativity is your gift back to Source. It loves to play with us! With Lisa’s permission, I am sharing a song I love to listen. I feel expresses Lisa’s gift to the world. Pure joy, devotion, and divinity which radiates out and touches everyone she meets. Lisa Ferraro and Erika Luckett perform “Wide Blue Sky,” at Agape International Spiritual Center in Los Angeles with Dr. Michael Bernard Beckwith. 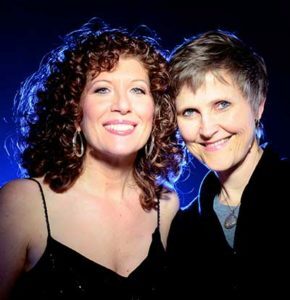 You can see more about Lisa Ferraro and Erika Luckett, their CD’s, workshops, and retreats at their website. Great article Kathy! I especially appreciated hearing about your first meeting. Thank you for doing a great job capturing light in words! And I don’t think I’ve ever heard that song of Lisa’s. Thanks Christie. It was a magical as soon as they walked into our home. And Lisa also commented that she didn’t even know I like that song – it’s pretty great, right?